Birthday Parties in Louisville have never been so EASY! We have three different affordable Birthday Parties to choose from! 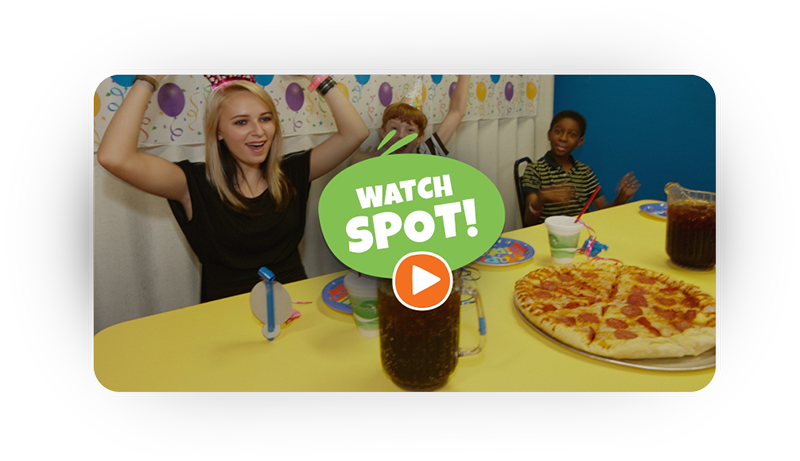 Now you can book online for the perfect place for that perfect Birthday Party! With our multi-level Laser Tag Laser Matrix™ Arena, fast speed Go-Kart Track, fully equipped Game Arcade and our waterfall enhanced Miniature Golf Courses…PLUS eat n’ treats, prizes, gifts and more…your child will have a BLAST!! All Parties have a 10 Guest Minimum, prices are per participating guest and our party rooms can accommodate up to 60 total participants (Based on Availability). Recommended Age for Laser Tag is 5 and up! For the best parties, please plan on spending 2.5-3 hours with us, including your room time! It all went so smoothly! It was easier than I expected. we encountered.....It was a great birthday party experience. but this was the best experience by far! 2 Choose a customized birthday package! Bottomless Pitchers of Coke Products for Party Participants and while in the Private Room Only. Add Non-Participant Drink Cups for only 50¢ per person. Birthday packages can only be secured with a $50.00 nonrefundable deposit going towards the party. All prices and packages are subject to change without notice unless they have been secured by a deposit. Any decoration that must be affixed to the wall or ceiling is not permitted. No outside Food or Drinks are permitted. We welcome you to bring your own Birthday Cakes. No personal checks are accepted. Go-Kart Drivers must be at least 56’’ or taller, but double-seated passenger cars are available with a licensed driver over the age of 18! If services are performed without payment, RFP has the right to charge the credit/debit card on file.